Commitment. More romantic than flowers. February is Valentine’s month, and our culture tells us romance should be in the air. For some, the holiday is a welcome occasion to celebrate with gifts, flowers or candlelight dinners. But do those traditional gestures really touch hearts, or do they just create unrealistic expectations? And what about couples for whom Valentine’s Day triggers sadness or despair? If a marriage is going through a rough patch, a holiday touting the love that is lacking only adds pressure to an overstressed relationship. 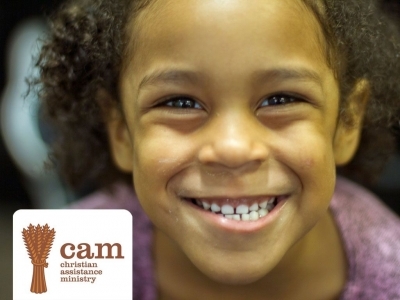 Carl Caton, the founder of the San Antonio Marriage Initiative (SAMI), has been working since 2009 to serve the needs of church-based marriage ministry leaders (mostly devoted lay couples) and also pastors, church staff and counselors. His experience in marriage ministry shapes his opinion of the Valentine season. What he finds most romantic is not the Hallmark movie setting, but the tenderness of a couple who has learned to love in a way that truly reaches each other’s hearts. Carl has had first-hand experience with this after being married to his high school sweetheart, Kelli, for 35 years. 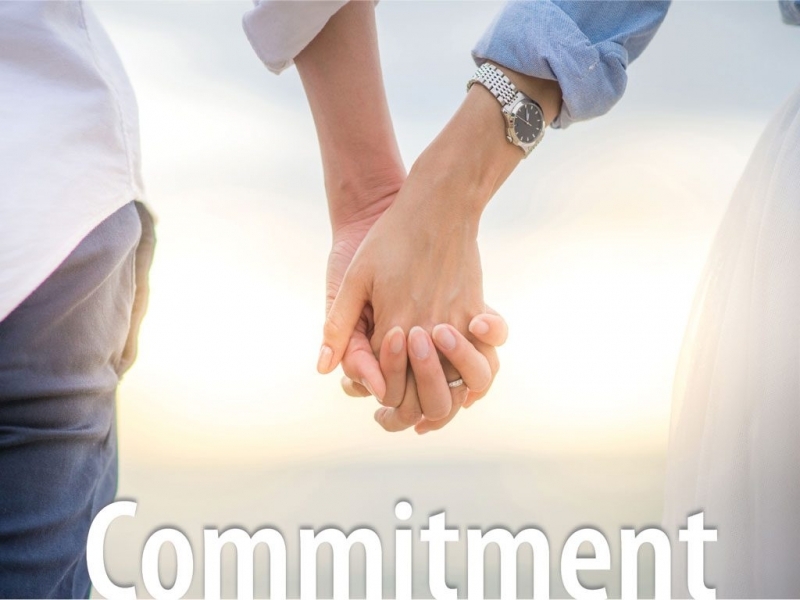 According to Carl, research has shown the single biggest indicator of the happiest marriages is commitment. Commitment to each other and commitment to God. He refers to information from best-selling author Shaunti Feldhahn, who reported statistical findings from thousands of couples in her 2014 book, “The Good News About Marriage.” She found that 80 percent of couples who had worked through challenges in their marriage — even those who were on the brink of divorce — considered themselves very happy five years later. One of Carl’s goals at SAMI is to get the word out that marriages are in fact thriving and to normalize the reality that couples need support and help when they hit the inevitable valley. Carl notes he sees a crisis of hope in marriage in general in our culture. SAMI supports leaders on the front lines of preserving marriages: couples who walk alongside others, pastors, counselors, or those in church marriage ministries. All find trusted wisdom through SAMI, which offers a system of support via emails, videos, communication tools, events, date nights, and conferences to help foster marriage. Rick and Sue Huggler have been married for 35 years. They run a marriage ministry at First Baptist Church in Boerne. 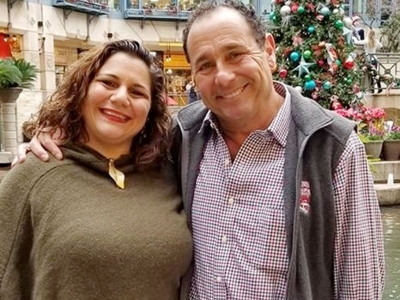 In 2009, they connected with a few like-minded friends, and their little nucleus began a marriage-mentoring program that developed into a ministry. Rick extols the results they’ve witnessed from studying the video series “Love and Respect,” by Emerson Eggerichs, a resource provided by SAMI. “This summer Sue and I went through the series with three young couples and found it to be life-changing,” he says. Donna and Robert Lagoudis have been married for 26 years. They received training to become certified marriage counselors through The Relational Impact Group and to lead the marriage ministry at Bulverde Baptist Church. “The key is coming alongside and introducing couples to life-changing tools. There’s fantastic material out there,” Robert says. “It took us 10 years before we read our first marriage book,” laughs Donna. They credit the resource, “The Five Love Languages,” by Gary Chapman, as personally impactful. “For 10 years, Robert thought my love language was gifts. But I didn’t want gifts. I felt guilty because I thought there was something wrong with me, and he thought I was ungrateful,” Donna says. The Lagoudises recommend couples continually and mindfully spend time investing in each other, a habit newly-married Faith and Matt Brugner have already begun to establish. Faith grew up in San Antonio observing first-hand the marriage of SAMI’s founders, Carl and Kelli, who are her parents’ close friends. Their example has instilled within the young couple the importance of building their new marriage upon a strong foundation of support. have a great heart for marriage. They learned from Paul Tripp’s book, “What Did You Expect?” to be intentional about spending time together and not let life’s busyness keep them from connecting. Whether you are developing a firm foundation, struggling with an issue or just want to rekindle some lasting romance, SAMI will point you in the right direction. Reach out to Carl. He will put you in touch with someone local to help and equip you. The toughest step to take is the first one. Visit the ministry website. Get inspiration to keep your marriage healthy. Sign up for the SAMI newsletter for more ideas. Attend. Register to attend one of the many events SAMI hosts throughout the year. Volunteer. Ask how you can become an advocate for marriages in your church. Pray. 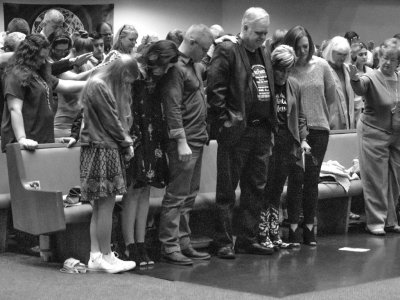 Pray for the ministry to continue to thrive and reduce the divorce rate in our community. Give. The Marriage Initiative invites you to partner with them financially so even more marriages can be impacted in our community. Visit their website to learn how you can become a financial partner and invest in marriages across our community. Scott Barr is committed to building a team that delivers “The Ultimate Client Experience” in each and every project. His first job in the home improvement industry was when he was 13 years old, and he has been with Southwest Exteriors since 1990. While exceeding clients’ expectations, Scott is also continuously working on developing a team of leaders who are challenged and excited about their work. When asked what he enjoys the most about his position as the Steward of Southwest Exteriors, he said, “Hearing from clients that have become raving fans of our company because of our commitment to client satisfaction before, during, and after their projects.” Scott’s desire is for the business to be a ministry that glorifies God, and he wants to continue to support other ministries by building a successful business. Mention the Beacon and receive 15% off all windows, siding, and concrete flooring projects. Bachelor's degree in Journalism from TCU. Worked in Medical Marketing and Public Relations for 5 years before working as a pharmaceutical representative for 3. Retired from full time work to raise my sons. Happening in the church. Village Parkway Baptist Church. Each church's DNA is unique. God is working in His church.